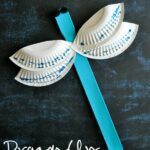 A big thank you to Author Corey Rosen Schwartz for sponsoring today’s kid craft post! Two of my children love all things ninja, so much that dressing up like a ninja happens several times a week around my house. 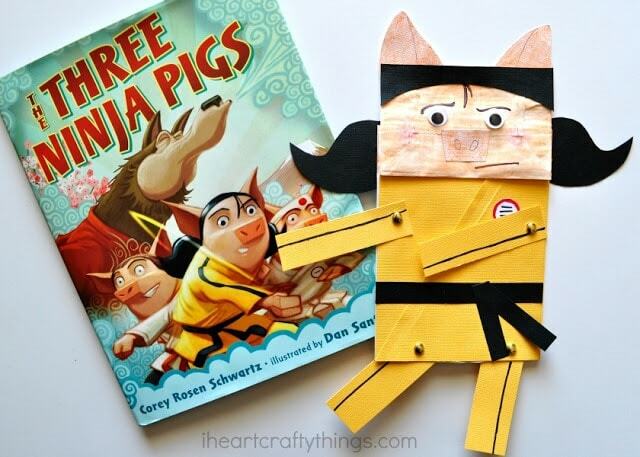 It’s one reason why we fell in love with The Three Ninja Pigs (affiliate) the instant we read it. Today we are sharing this awesome Three Ninja Pigs Craft that will delight the little ninjas-in-training at your house! 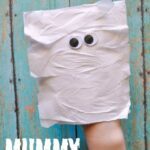 Not only is it an awesome craft, but since it has movable arms and legs you can have fun pretend play after making her, helping her to conquer any bad guys that get in your way. My children and I love all of the pig characters in the book but my personal favorite is Pig Three. I love how she put her mind to mastering karate and followed through with completing all of the lessons, and how she displayed bravery in defeating the big wolf. Since I wish for my own children to possess determination and bravery in the things they wish to accomplish, I love the great message this book shares to children. 1. 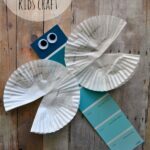 Print off the paper bag ninja pig craft pattern and then gather the rest of your supplies. 2. Use your pattern to cut out your pigs hair from black cardstock paper and the snout and ears from white cardstock paper. Add some details to your snout and ears and color them with your peach crayon. 3. 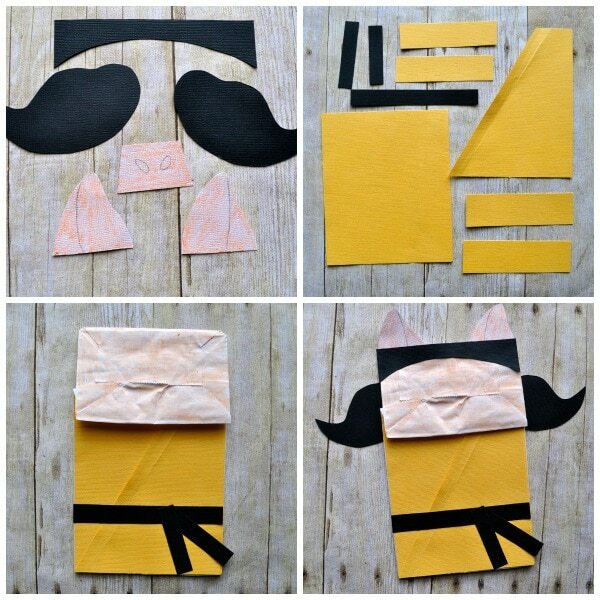 You will also need to cut out two yellow rectangles to cover the front of your paper bag for the pig’s gi. Cut a slit down one of the rectangles to make it look like the wrapped gi. 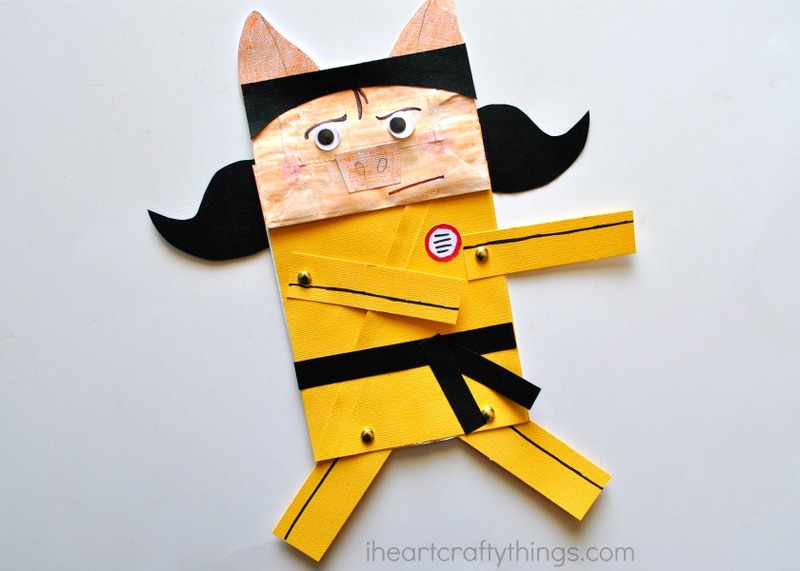 Also cut out strips of yellow for your arms and legs, and strips for the black belt. 4. 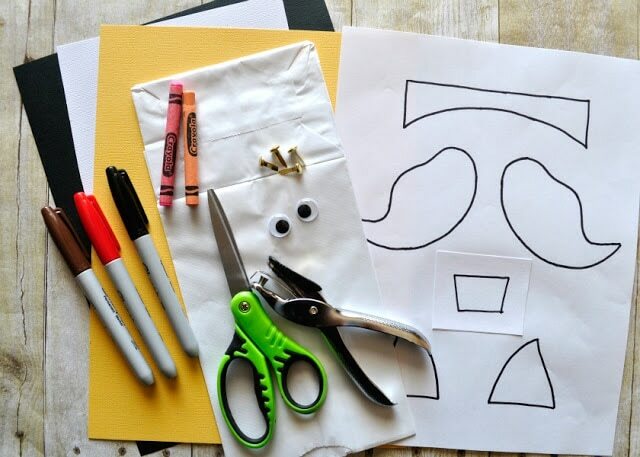 Cut about 2-1/2 inches off your white paper lunch bag. Color the bottom flap of the lunch bag (which is now the ninja pig face) with your peach crayon. Then use your pink crayon to draw rosy cheeks on your pig. 5. 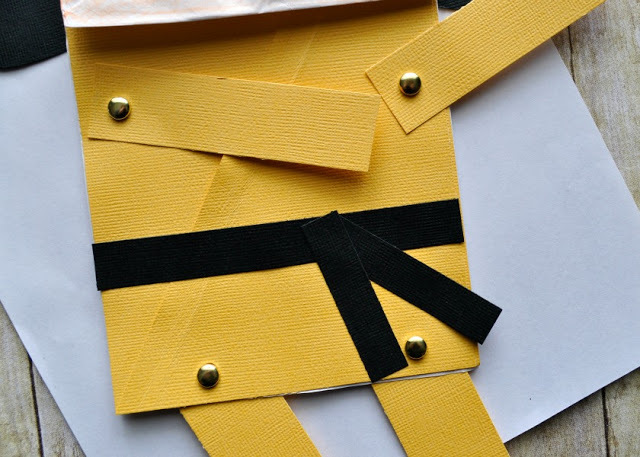 Glue the gi onto the paper bag and the black belt pieces. You could also cut out a small circle to make the badge on the gi uniform, outlining it with your red marker and adding writing lines on the inside with your black marker. 6. Glue the ears and black hair onto your pig’s face, then the snout and googly eyes. Finish your ninja pig face by adding details with your markers like eyebrows, a mouth and some hair falling down into her face. If you don’t have markers handy, use crayons to add the details to your ninja pig. 7. If you’d like to make the arms and legs movable on your paper bag ninja pig craft, use your hole punch to punch holes into the paper bag and the arms and legs for the metal paper fasteners. Attach the arms and legs to the paper bag ninja pig with the metal fasteners. 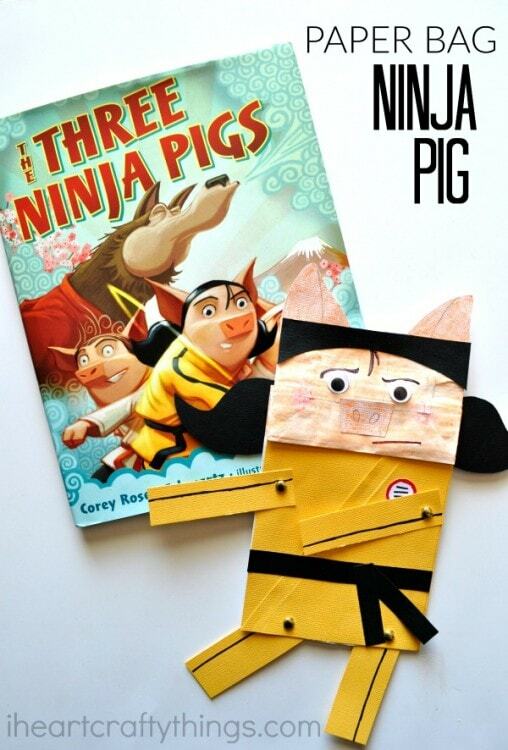 You can purchase Three Ninja Pigs and check out more of Corey’s fantastic children’s books on Amazon! 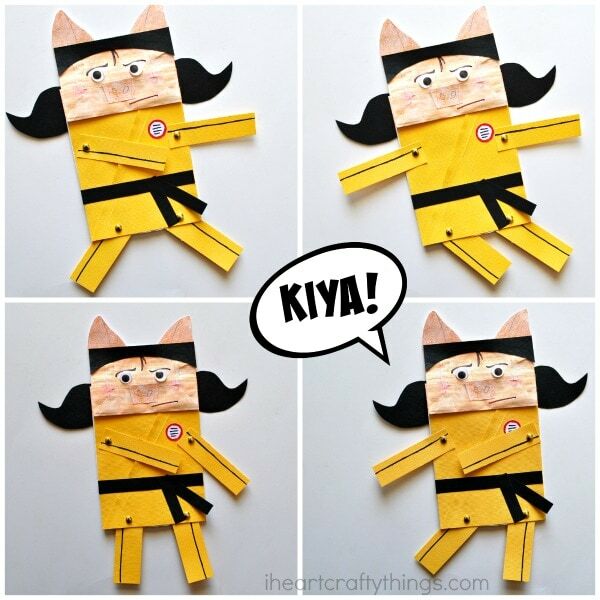 Or visit her blog to keep up with her latest ninja adventures.